Some of our customers ask us: How should we administer content on Linchpin? This is a good question. After all, the Linchpin intranet suite is based on Atlassian Confluence – the leading wiki software for enterprises. And most wiki-based content systems in organizations share certain challenges with regards to the quality of content and structure: redundancies, out-of-date information, incomplete implementations, unstructured filing in the page hierarchy, and difficulty finding information. There are two sides to every coin, and while a wiki or a wiki-based intranet gives enterprises the freedom they need for modern collaboration by enabling any team member to create content within the system quickly and easily, it can have its downsides. Sooner or later, a time will come when the wiki chaos becomes so unbearable that it has to be tackled in a more organized way. Some teams and enterprises then go for a one-off, concentrated attack. Unfortunately, the success of such one-off campaigns rarely lasts. Do you have a relative or friend who just can't bring themselves to throw things away? They're sure they'll "need that again one day" and seem to be driven by an inherent need to collect things. Their basement or garden shed is so full of clutter that you can barely get in there, and even the "collecter" is no longer sure what exactly the pile of stuff is made up of, let alone where anything is. After a great deal of persuasion and coaxing, they throw everything away in one fell swoop. Alas, just one year later and the basement is bursting at the seams again, as though they'd never cleared up in the first place. The outcome is often similar when you try to tidy up a wiki system or wiki-based intranet in one go. It's much more helpful to find a systematic approach that shows permanent results and establishes certain key principles to keep your content organized. The answer to the question of how an enterprise should administer content in Linchpin is the "Space Gardener" principle. We took a close look at the role of the wiki gardener in a previous post. This principle is still relevant and appealing for modern wiki-based intranet systems. Since Linchpin and Confluence are organized into content spaces, we recommend assigning the responsibility for each space to at least one person: the space gardener. Space gardeners are usually power users who should be trained for their new responsibilities. They then become the contact person for their team/department/branch for issues relating to the intranet. Establishing a network of space gardeners leads to a decentralization of the wiki's administration. This is useful on two levels – content and organization. Those in that particular field/project/department know best about what information an individual space needs and which special requirements should be considered. One central content manager working outside of their area of expertise and out of contact with those users' practical needs is bound to be a disadvantage here. By decentralizing the intranet's administration to space gardeners, it is easier for enterprises to ensure that new employees receive appropriate work-task-related intranet on-boarding, support inquiries can be answered more quickly and accurately, and content finds its way into the pre-defined information architecture in a way that is sustainable and maintains the appropriate quality level. Thanks to their proximity to the users and subject areas, space gardeners are also able to evaluate and classify new content within their area of responsibility quickly and reliably. They can make sure that intranet pages are given keywords and that suggestions are available for frequent use cases. The life cycle of the information in their subject area also falls within their area of responsibility; they can, for example, use a space-specific configuration as an automated archiving solution. Space gardeners may work autonomously and hold the responsibility for their own space but they shouldn't be completely disconnected from one another, and their work should be ideally carried out with central coordination. We recommend that space gardeners for the wikis or intranets meet up and check in with each other regularly. Just 30 minutes once a week should be sufficient to ask colleagues questions, resolve challenges, and discuss use cases. This is a good compromise that ensures everyone gains from it without spending too much time, especially given that nowadays modern technology means that physical distance between participants no longer poses a problem. These weekly meetings can be chaired by a global intranet administrator. Questions and problems that can't be solved directly owing to a lack of resources or know-how on a topic can be passed on to the intranet administrator to discuss with an external intranet partner who they can involve in the decision-making process. For example, when it comes to issues affecting budgets or the need to roll out new apps on a global scale. The concept of a space gardener constitutes a central building block to create an intranet or company wiki full of information that is consistently up-to-date and of high quality on an on-going basis. It ensures that information is well processed, and correctly classified and contextualized. At the same time, unnecessary or chaotic pages that make the truly relevant information difficult to find are dealt with in a structured way and can be avoided in the future. Space gardeners are ideally suited to be expert contact people when it comes to supporting new users who are learning to use the system. 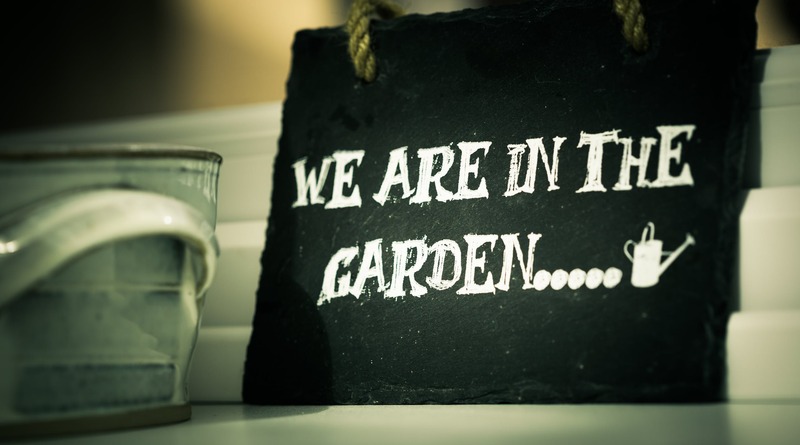 By actively pruning the information in their space, the space gardeners help all employees of all skill levels who should be using the intranet or wiki more efficiently and productively. Wiki novices, your new content is what’s important in Confluence, not structure or redundancy!